All around the world, scientists are trying to beat the most debilitating condition known to humans: ageing . Here is how worms and 3D printers can help. As she headed to her lab one sunny Texan morning, molecular biologist Meng Wang couldn’t yet guess what would be waiting for her when she arrived: tens of thousands of worms, wriggling around in different boxes. As she peered into each box, slowly it dawned on her. What she saw could cure the most debilitating condition known to humanity: ageing. Diseases related to ageing – like cancer, rheumatism and Alzheimer’s – kill 100,000 people every day around the world. But a growing number of scientists say it doesn’t have to be this way. 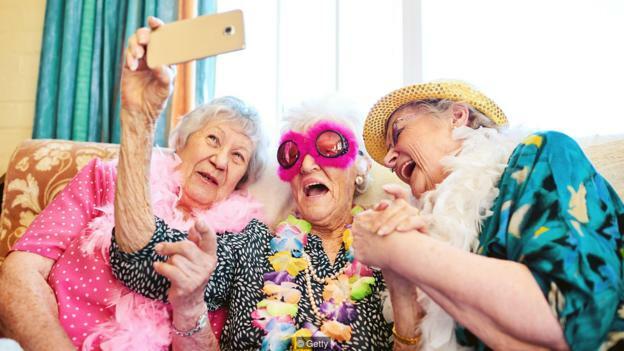 BBC World Service podcast The Inquiry quizzed some of the world’s leading researchers about the nature of ageing – and about the cutting-edge science that could ‘cure’ it, from the role of microbiomes to 3D-printed organs. 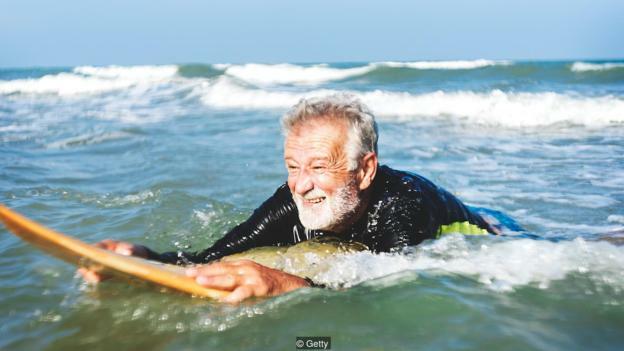 What exactly is ageing? If you could zoom into the molecular level, you would see small, incremental amounts of damage that spreads to the cells, the tissue and the organs. Eventually, the whole organism starts to suffer from this ongoing Russian-doll style accumulation of damage. “Then when we can’t keep up with the repairing, the ageing starts” explains Danish physician Kaare Christensen. Christensen worked as a doctor for many years until one day he decided he’d had enough of treating sick people. He now runs the Danish Aging Research Centre where he’s trying to stop people getting ill in the first place. He points out that we’ve seen some progress. 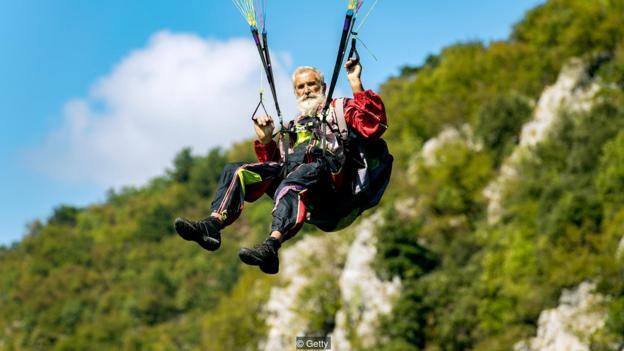 In the mid-1800s life expectancy was around 40 years in most of the world, he says, while now some countries of Northern Europe are nearing 80 years and the rest of the planet is catching up. This was largely because of the reduction in infant and child mortality, not because the human life span itself increased. 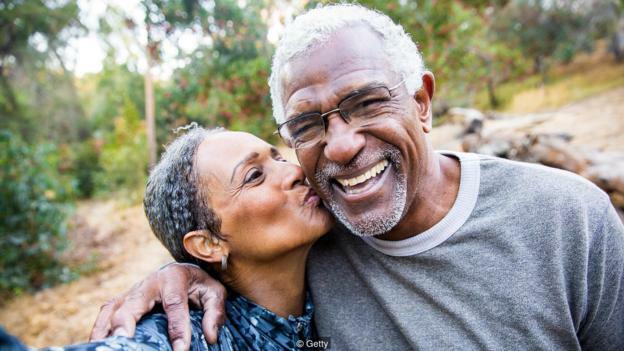 (Find out more in our recent story: Do we really live longer than our ancestors?). Even so, there has been another, promising change at the same time. Teeth are a sort of barometer of general health, he says. Their condition directly affects our ability to eat properly and gain nourishment. Their fitness can also indicate whether other parts of the body are in good shape. Christensen says that people are not only reaching old age with better teeth, but also with higher results in IQ tests, which he links to improved livelihoods around the world. “That’s the whole package of better living conditions, better schooling… and what kind of work you have had,” he says. He believes that this progress will continue. But for how long? The record for the world’s longest recorded lifespan currently belongs to Frenchwoman Jeanne Louise Calment, who reached 122 years of age. What’s interesting is that she died in 1997 – more than 20 years ago. Many things have happened since. Biophysicist Tuhin Bhowmick comes from a family of medics in Bangalore, India, and remembers dinner conversations about patients his father or uncles could not save. Whenever he asked why they were not able to prevent a death, his father would reply they had run out of tricks up their sleeve. Medicine, after all, had its limits. “I was like, ‘Okay, then I won't become a doctor, but I'll become somebody who makes the medicine’,” remembers Bhowmick. He says death by old age often relates to malfunctions with vital organs like the heart, the lungs or the liver. If the patient is able to receive a functional organ from a donor, medics like Bhowmick’s father can give people a second lease of life. But that’s not always the case. The problem is that there are more people in need of organs than donors able to give them. Elderly people all over the world are in long queues for new kidneys or hearts, but exact matches have to be found. In many cases, the person dies waiting. Instead of holding out for a donor organ, Bhowmick thought, what if you could make one? This question kickstarted his quest to print a functioning organ that patients’ bodies would not reject. “Let's say you need a liver and you have CT scan or you have MRI which shows exact size and shape of your organ in the computer,” he says. You could feed that ‘mould’ to a 3D printer and print an artificial one in exactly the same size and shape. Instead of using an ink cartridge, though, Bhowmick’s devices use ink made up of protein and cells – and not just any cells, but the patient’s own cells. This means there is very little chance that the body would reject the new organ. His team already has made India’s first artificial human liver tissue; the next step is to scale it up, making a miniature external liver, a checkpoint that he estimates might be five years away. Bhowmick imagines this external organ as a small and portable out-of-the-body device, so users can move around with it. In eight to 10 years, he expects to reach the promised land: a point where he can make a fully functioning liver that can be transplanted inside a body. But if a person has got a failing organ, does that indicate that perhaps they're coming to the end of a natural lifespan? What if the heart and lungs also fail? Bhowmick believes each case is different. “If you replace an organ which has been the primary cause of the patient's death, that patient could have lived for 20 more years because maybe that person's liver was failing, but not the same with the brain or the heart,” he says. His bet for how long we can live? With these types of innovations, he says, if you are a millennial or younger – born by 1981 or later – you could have a good shot at lifespan of 135 years. Meng Wang’s grandmother passed away when she was aged 100; she was healthy and active to the end of her life. Watching her grow older, all while remaining sound, made Wang wonder about the secrets of ageing. Wang is now a professor of molecular and human genetics at Baylor College of Medicine in the US, where she’s been carrying out experiments into one of the most exciting new areas of medicine – our microbiome. You can’t see it with the naked eye, but our microbiome is all over (and inside of) us. Most of it is bacteria, but it also contains fungi, viruses and other microbes, too. In the past, scientists haven’t given it much attention. But we now know it has a profound effect on our body. Recent studies show that our microbiome is as relevant to us as an additional organ might be. It can influence how we behave and even how well we respond to different medications. “Sometimes [our microbiomes] make us sick, but on the other hand, they also play a very important role to keep us healthy,” says Wang. She wanted to know whether our microbiome could affect ageing. To test it, she decided to work with a particular kind of worm that lives only two to three weeks – a lifespan short enough to conduct a ‘life-long experiment’ on ageing. Her question was what would happen if you altered a worm’s microbiome. Would the worm live longer? Wang chose one of the kinds of bacteria that lives inside a worm’s gut, tweaked its genes to make different varieties, and then fed the bacteria to separate groups of worms. Three weeks later – by the time they should have all died – she checked on them. “I was so excited because we found in a few cases the animals were not dead,” she remembers. “They were still alive when we checked them. 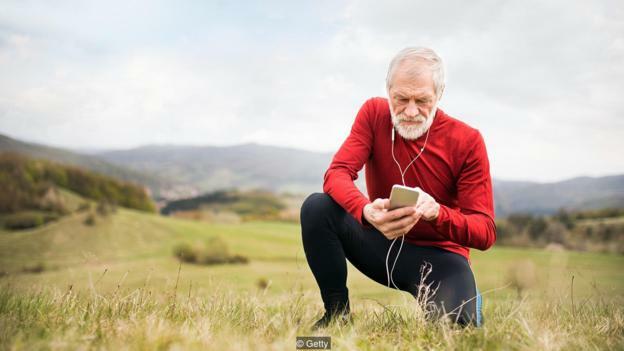 Older worms usually show a decline in physical activity, but the ones with the new microbiome not only wriggled around more quickly in their old age, but were less susceptible to disease too. Wang is now carrying out tests on mice to see whether changing their microbiome extends their lives in a similar way. There’s a chance that one day doctors might be able to prescribe pills which do the same for us. How long could that make us live? Something odd happens when you age. As cells gets older, they divide to replace cells that are dying or getting worn out, but this is not a perfect process. The more times a cell divides, the greater it’s chance of becoming what we would call ‘senescent’. Senescence comes from the Latin word senescere – to grow old. And that’s exactly what’s happened to these cells – they’ve grown old and come to the end of their lifecycle. But instead of dying, they hang around, acting in a destructive manner and communicating with cells around them. That can cause a lot of trouble. “It’s almost like the cell saying ‘I’m an old cell and you guys have been around here about the same sort of amount of time as I have, so you must be old too’,” says Lorna Harries, professor of molecular genetics at England’s University of Exeter. These senescent cells are almost ‘contaminating’ other cells with age and as we grow older, more and more of our cells become senescent until our body is overwhelmed. In her lab, Harries might have found a way to deal with these ageing hooligans. Some time ago, Harries suggested that a new researcher she was working with try putting some chemicals on old skin cells to see what would happen. To test the skin cell’s age when the experiment ran its course, they applied a particular dye that would turn cells blue if they were senescent. She didn’t believe the result, so she asked the student to repeat the experiment. Again and again, she came back with the same result – and again Harries sent her back to redo the process. The experiment effectively rejuvenated old cells and turned them into young cells, making hers the first experiment ever to have reversed ageing in human cells. Some think the discovery could be the secret to a much longer life. Harries started receiving phone calls from investors and scientists around the world. But Harries still isn’t very bullish about how long could we live; she believes humans have a natural maximum lifespan. Even so, she hopes her line of research ends up in a new generation of anti-degenerative drugs for things like dementia and cardiovascular disease. “What I’m hoping is that this will allow us one treatment which will address several of those at once, so that people who would have died early will then go on to live their natural allotted lifespan,” says Harries. So back to the question: how long could we live? Perhaps one day we will be able to replace our damaged organs, take supplements that give us a youthful microbiome and stop our cells from ageing. How many years could all this add on? If we go by Tuhin Bhowmick’s prediction, if you’re a millennial, you may be able to get to 135. And by the time we’re there – in 2116, if you were born in 1981 – who knows what else will be possible?